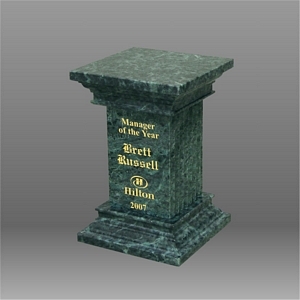 G27RC1 GREEN MARBLE ROMAN COLUMN AWARD, ENGRAVED AND COLOR FILLED WITH GOLD PAINT. PLEASE CALL OR EMAIL FOR QUANTITY DISCOUNTS. 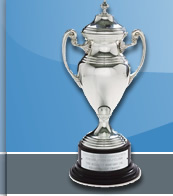 THE ENGRAVING IS COLOR FILLD WITH GOLD PAINT ON THIS AWARD IS INCLUDED IN THE PRICE OF THIS ITEM. THE FIRST PROOF IS DONE AT NO CHARGE.